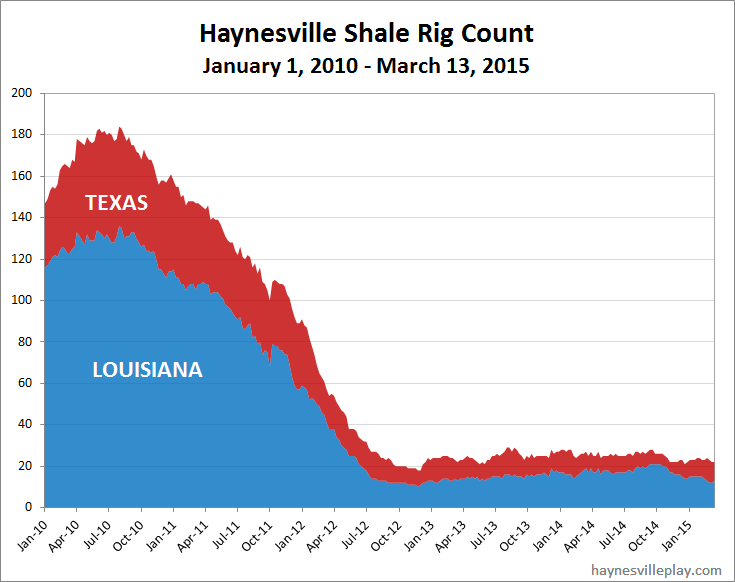 The Haynesville Shale rig count was unchanged last week at 22. 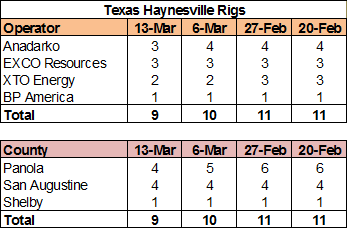 Louisiana was up one (Chesapeake) to 13, while Texas was down one (Anadarko) to nine. 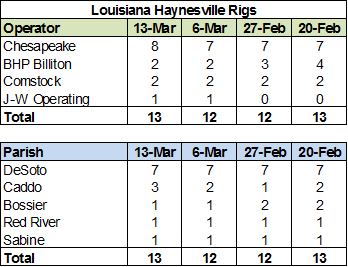 It's starting to look like old times on the Louisiana side of the Haynesville, with Chesapeake running four times more rigs than the next largest driller. Of course, the numbers are smaller by an order of magnitude compared to five years ago, though. Sorry it took so long to publish. I was out of town for a week and didn't get back until Monday night.